Fortnite is still heading to Android this summer but will not launch on Google Play, Epic Games has confirmed. Rumours had recently circulated that the hit battle royale title would indeed ditch Google’s app marketplace - the dominant Android storefront in the West. Players will instead need to download the game launcher direct from the Fortnite website. This will mean that Epic will not need to pay 30 per cent of revenues it generates from the game to Google. Epic has not provided a specific release date. With summer set to end during September though the launch is not far away. A recent report claimed that Fortnite could be a timed exclusive for the Samsung Galaxy Note 9 for 30 days after launch. Epic declined to comment to us on the rumour. 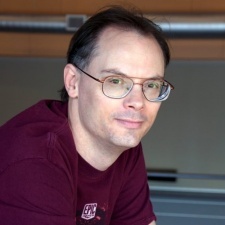 Speaking to PocketGamer.biz, Epic CEO Tim Sweeney said thanks to the digital revolution it’s now possible to go straight to the consumer, enabling it to form a direct relationship with them, and that “physical storefronts and middlemen distributors are no longer required”. PC users must download the game through Epic, rather than a storefront like Steam, for example. On iOS however, the game must be downloaded from the App Store. On open platforms, 30 per cent is disproportionate to the cost of the services these stores perform. Sweeney noted a second motivation for the decision to bypass Google Play: economic efficiency. When asked whether there was something fundamentally wrong with the mobile ecosystem that led to this decision, Sweeney compared the Western marketplace to other countries and platforms. “If you look around the world, you see a more robust mobile market where competition exists,” he explained. Sweeney hopes more publishers follow in Epic’s footsteps. “Independent game releases and stores already exist on Android, including the Amazon Appstore, but we’d love to see the mobile games ecosystem grow as robustly and competitively as PC with multiple stores like Steam, GOG, Origin and Battle.net,” he said. For more on how Fortnite was brought to mobile with Unreal Engine check out our interview with Epic's Arjan Brussee here. The people who designed fornite are ruining our kids. The fights n activation I go threw to get my son off this game n the time he spends not being a kids is discussing. Every mother in America is cursing the makers. It’s adictive n destroying our kids minds. But they don’t care cause it’s all about $$$$. Well you won’t be sucking money off me anymore. I’ve blocked in app purchasing n will not allow him to waste $ on a game he won’t like in a yr like Minecraft. That was a big fight too. It’s ridiculous what these gaming companies are doing to our kids. It’s brain washing young America.